The PDF format is designed to work with your web browser. 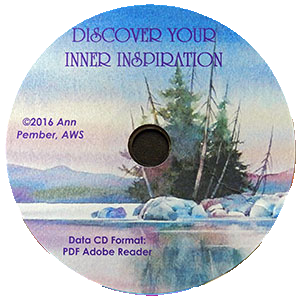 Plug the CD into your computer and open up the browser. The lessons and images are there on your computer screen! Work from the CD on the monitor’s screen, move information to a computer, or laptop, or print out some, or all pages for convenience. Take them with you wherever you travel. 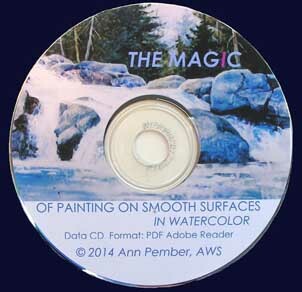 Ann’s approach to painting on smooth surfaces and using them are explored with more than 325 illustrations. 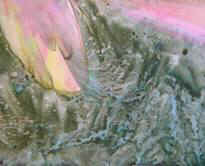 Six full demonstrations of Ann’s techniques of painting include 1 city scene, 2 flower designs, 2 stream landscapes, and 1 figure. 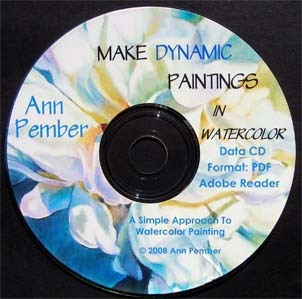 There are several mini demonstrations of how to paint leaves, rocks, water and trees with Ann’s techniques. 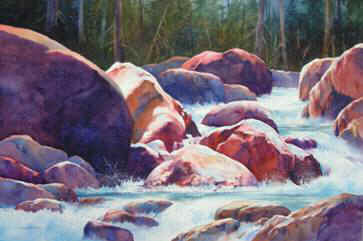 Color is explored with many examples of how to make clean washes, lift lights and achieve vibrant results. 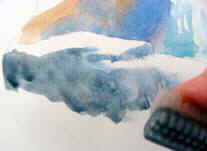 A materials and methods section is included and there are descriptions about how to coat paper and other helpful hints. 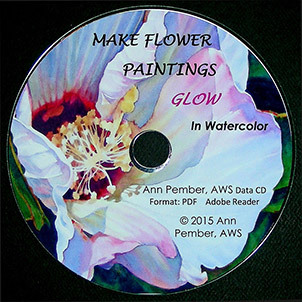 Ann’s simple approach to painting could help you improve your own paintings in watercolor! 120 pages and produced in PDF Format. 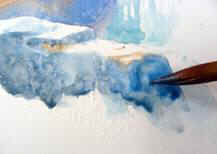 The book ‘THE MAGIC OF PAINTING ON SMOOTH SURFACES IN WATERCOLOR’ introduced me to a new form of watercolour painting. Written in a clear concise way with a friendly and encouraging tone with some humour, makes it easy to follow and a very pleasing and inspiring read. Packed with sound advice, with nothing held back, it is the most comprehensive and useful art book I own, and I have many! I rate this book very highly and have no hesitation in recommending it to anyone. The resolution of the pictures is very fine which means you can zoom in very close indeed, one big advantage of a book in digital form. 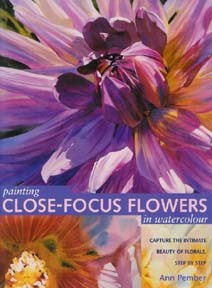 If you find watercolour painting difficult, as I do, this book gives a new way forward. 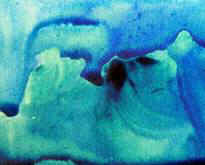 Working on smooth surfaces readily allows rework and alteration. 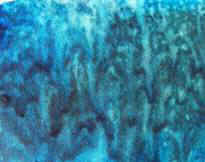 The coated surface means paint can be lifted back to the white surface, and brings new meaning to creating textures, splattering and wiping techniques produce wonderful textures with no need for laborious masking. 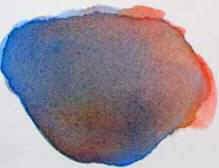 This technique produces beautiful luminous colour mixes with the added advantage that the colours do not lighten on drying. 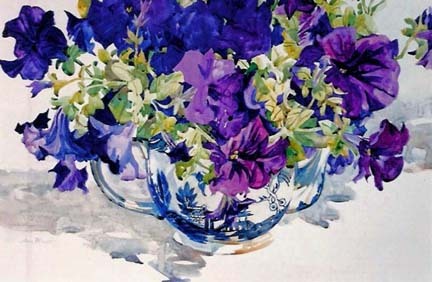 Ann demonstrates how different papers give different effects and explains the techniques to get the best results for each support; and details which normal watercolour techniques work and which don’t, and introduces new ideas you would not normally consider for watercolour. She gives detailed and very clear instructions on how to prepare paper surfaces, and gives comprehensive advice on choosing papers, and lists suppliers where they can be obtained. Her advice is backed up with numerous demonstrations of various subjects on the different supports. This is followed by six step by step demos covering a variety of subjects and papers, and finally a gallery of her paintings. 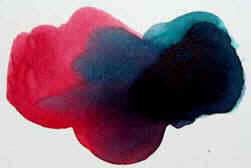 There is an excellent section on materials, paints, papers, brushes and useful tools. 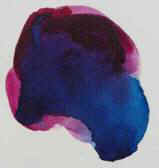 Also present is comprehensive advice on colour mixing and her favoured palette, which is backed by pages of colour mixing charts on the different papers showing how colours merge and mix wet in wet, and their resulting textures and values. is a great companion to the book, showing the techniques in action. 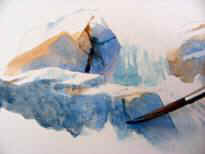 It includes a great demo of assessing and adding those final touches which turn a painting into a piece of art.